Queen Elizabeth II is a stickler for order, and so routine is a part of Her Majesty’s day-to-day life. She rises at around 8.30 am and would be greeted by a piper who plays at 9am on the terrace beneath her apartment at Buckingham Palace. When longtime attendant and confidante Margaret MacDonald was still in service, Don Coolican noted that Bobo, as The Queen affectionately called MacDonald, would awaken her, “bringing in a cup of tea and a plate of biscuits handed over by the footman.” The Queen’s corgis are the first creatures to grace The Queen , who would also beg to be given biscuits, Coolican writes. “She usually takes a bath before having breakfast in her apartment alone, and it is usually Cornflakes or Special K cereal and fresh or dried fruit,” observes Victoria Howard. The Queen never forgets to read the morning paper. When it was still in printing circulation, she would turn to The Sporting Life first, the horseracing Bible. After breakfast, Her Majesty immediately proceeds to her study desk, which is described as “stuffed with family photographs, mementos, paper knives, paste-pot and scribble pads.” Nearby is a bowl of water for her pet corgis who are always within Her Majesty’s sight. Queen Elizabeth II works until lunch at 1 pm, reading as much as 120 letters delivered to her in a white wicker basket. These letters usually contains everyday human concerns—a mother with a husband in prison and on the brink of desperation or an adoring child eager to receive an autographed photograph of Her Majesty’s. Every letter, except from those cranks, would get a reply. 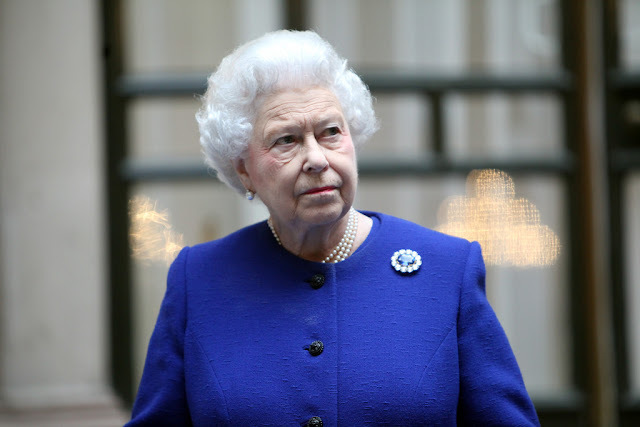 There is an enormous amount of paperwork The Queen has to deal and they come from all the parts of the world, not only from Great Britain, but also from other Commonwealth countries, like Canada, Australia, and New Zealand, where the Queen also reigns. Even when she is on an official trip abroad, she has to deal with these documents, which are usually fitted in between appointments. She does this in the morning, but she also returns to paper works after an engagement. She spends a lot of time at this which takes her even into the night sometimes, according to Coolican. The Queen likes to be briefed with the affairs of the state. While her ceremonial duties prevent her from altering any decision passed by the Government or the Parliament, she wants to be sure that she knows exactly what she’s putting her name into. If Her Majesty does not have any official engagement at midday, she enjoys a light meal with Prince Philip or one of her children or grandchildren. She resumes her work afterwards, only to stop at five for tea and then returns to reading and signing official documents again. The Queen’s work day typically ends before dinner, which is served at 8:15 pm. When Prince Philip is at home, they would chat about their respective day’s work. There would be nights when The Queen is out for evening engagements, but if not, she delights herself on a comedy show, documentaries or environmental programs on TV. Usually by 10:30 PM, Her Majesty retires to bed—calling it a day. I got such a good information on this topic it’s very interesting one. You made a good site and I have found a similar website please check this one queen victoria village visit the site to know more about Safelocks.